The Superintendent of our schools and districts is a very important public servant. The job entails so many leadership competencies, political savvy and educational prowess that it’s quite difficult to pinpoint the most important of these. There are those superintendents who are highly skilled at business process, administration and management, while others fall more on the side of educational expertise, curricula development and learning theory. A plethora of national education reform initiatives, all spouting similar names and objectives, from the former No Child Left Behind to the current Every Student Succeeds Act. Very little family life opportunities — all work and no play. Insufficient funding yet demand remains high — infinite demands but precious few resources to meet those demands. Challenging ethics environments — as 1950s Attorney General of Texas, John Ben Shepperd, stated, “I agree to live in a glass house with the curtains open.” In today’s social landscape, accusations sometimes are regarded as truth, i.e. the accused is guilty until found innocent. Political nightmares — increased probability of the superintendent getting unwittingly or unwillingly embroiled in political party frays. Physical safety concerns have been center stage currently — school shootings have spawned a movement for gun reform and increased school safety measures. Inadequate state and local funding. Unions — they just might favor a traditional candidate. The traditional superintendent comes from a steady succession of positions in the school system — both classroom teacher, staff, administrator, principal and other jobs. This person is well groomed to assume the top job. 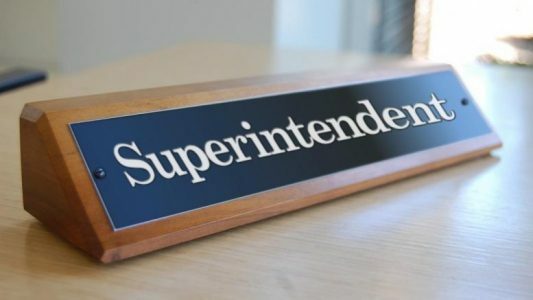 In fact, some have argued that if you cultivate a cadre of accomplished school principals, you will have no problem using it to select a super superintendent. This is the normal career development path for educational administrators in this country. Large urban districts could benefit from hiring “non-traditional” superintendents — those who have completed careers in the military, business or other non-educational settings. It’s not enough, however, to say that just because they have served in those capacities, they are qualified to take over large districts. They must demonstrate a consistent pattern of success in complex leadership positions within those career fields and the capability to import lessons learned from business to educational. They must learn about education policy and must be able to assemble coalitions of people to accomplish the vision as well as the stated goals and objectives. Non-traditionals usually have a firm grasp of conflict resolution, personnel evaluations and labor laws. They know how to handle sensitive situations, structure work groups and bring about diversity in accomplishing collective tasks. Although many non-traditionals possess these great business skills, school boards might overlook them initially. That’s unfortunate, because they may miss some great opportunities to take on candidates who will “stir it up”, bring fresh ideas and challenge the status quo. Rarest of all, this is the person who has both extensive non-educational and considerable educational experience — teaching, administering or both. The hybrid would generally be a great candidate and selectee for larger and urban districts — assuming he or she has good leadership and communication skills. Experience is why we hire people in companies — not degrees or other prima-facie evidence of accomplishment. Therefore, traditional, non-traditional and hybrid superintendent candidates should be examined for the type of experience the district is seeking. The point I make in this article is that non-traditionals and hybrids have a predisposition to possess and wield sharply honed expertise that we often regard as desirable characteristics in large districts. If we accept that assertion, then we should push for more states to adopt alternative paths to superintendent certification. This might alleviate the shortages of qualified candidates for large city districts. Author: Bob Brescia serves as President & CEO of STEM Software – a leading Artificial Intelligence (Ai) software provider in the Oil & Gas industry. His latest book is Destination Greatness – Creating a New Americanism. Bob has a doctoral degree with distinction in Executive Leadership from The George Washington University. He also serves as Chairman of the Board at Basin PBS – West Texas public television. Please contact him at [email protected] or Twitter: @Robert_Brescia.